A 50-year investment in Philadelphia’s future launched in Center City last week, and 15 high school students were poised to take the spotlight. The Germination Project, an organization focused on creating a self-sustaining and perpetuating ecosystem for Philadelphia’s next generation of leaders, introduced its inaugural Student Fellow Class of 2015 at the historical Union League. With the keynote address from Philadelphia 76ers Head Coach Brett Brown and special guests taking the stage to announce the “picks,” the Gala Benefit had all the action and excitement of a professional sports draft. The program consists of 15 rising juniors representing 10 Philadelphia-area high schools. Hundreds of students were considered, and those chosen went through a rigorous process before being selected by a committee made up of CEOs, entrepreneurs, doctors, and other business executives. The Fellows were introduced by numerous dignitaries, including U.S. Senator Robert P. Casey, Jr. and Thomas Jefferson University and Jefferson Health President and CEO Dr. Stephen Klasko. Both were Gala Chairs, along with U.S. Senator Patrick Toomey and Gabriel Investments Managing Partner Richard Vague. Starting with this first class of Student Fellows, the Germination Project seeks to catalyze ambitious young men and women, brought together by their talent, drive, and commitment, to put their gifts into service for the benefit of our city. A key component of the program’s success: current leaders in our region who will not simply provide insight and advice, but hands-on experience – these leaders will work alongside the Fellows in developing and delivering initiatives that will improve the quality of life and economic outlook for the entire Philadelphia region. First stop for the Fellows: the Summer Leadership Boot Camp, a two-week program designed by the University of Pennsylvania’s Wharton Social Impact Initiative. The Boot Camp will use a two-fold approach of leadership development and social entrepreneurial skills development. Under the guidance and direction of experienced professors and guest lecturers, each Fellow will undertake a range of experiential learning opportunities designed to develop the skills necessary to thrive as leaders in our region. After completing Boot Camp, the Fellows will set out to deliver on a key part of The Germination Project’s mission: exchanging the lifetime’s worth of opportunities the program ultimately will bestow upon them, for a promise to pay those opportunities forward. By their side will be another leading partner of the program, Jefferson Health. Fellows will work with volunteer doctors, nurses, and other Jefferson medical professionals, as well as with community liaisons, and will engage directly with the Jefferson team on a community outreach program that will focus on eliminating health disparities. 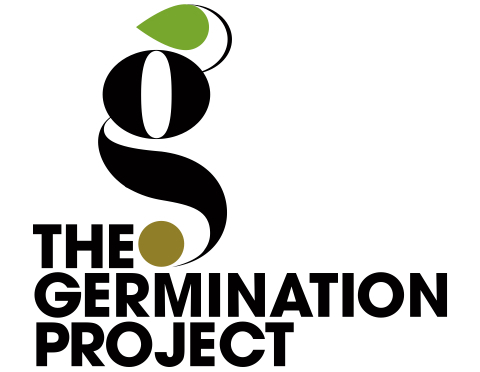 For more information about the mission and civil engagement initiatives of The Germination Project, visit http://www.germinationproject.com. The Pamela and Ajay Raju Foundation is committed to re-establishing Philadelphia as a global force in policy, commerce and culture. With its foundational support of strategically selected philanthropic initiatives, the Raju Foundation employs a unique interdisciplinary approach to the greater development of Philadelphia and the surrounding region.